I would appreciate your views/opinions. 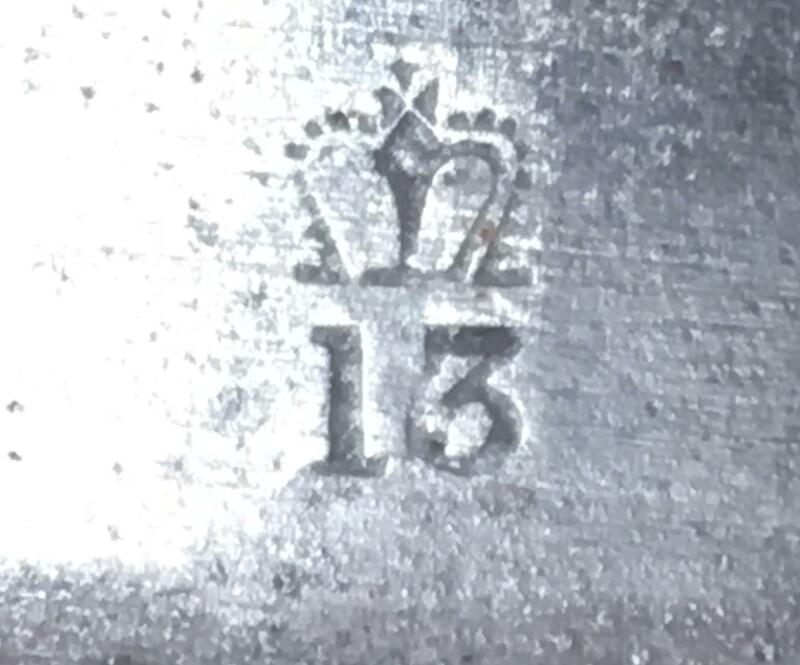 Hello ,The antique helm is the trademark of Weyersberg Kirschbaum & co of Solingen a well known German manufacturer of swords ,bajonets, sabres etc who sell his products not only in Germany . but abroad . 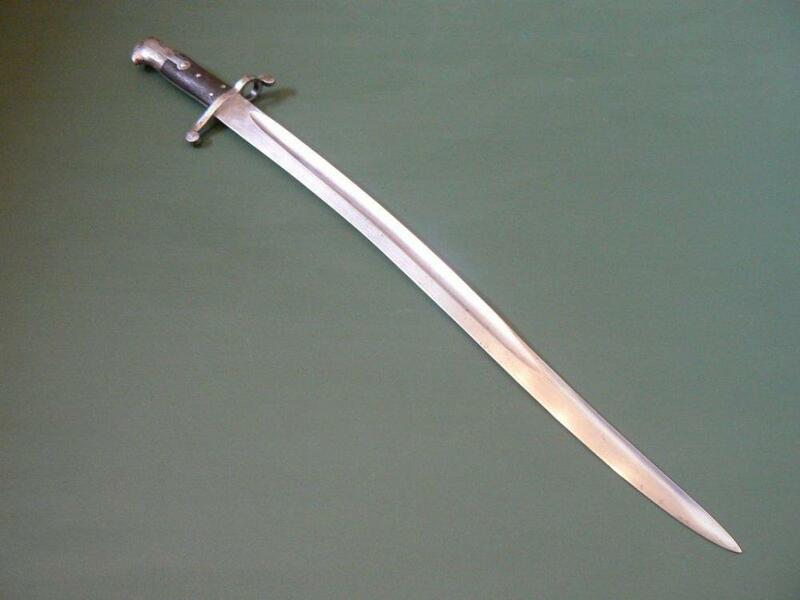 your sword bajonet is curious due to the ebonite or hardened rubber grips. this points to a Austro Hungarian Werndl mod 1867 rifle. My first reaction was "Aha! 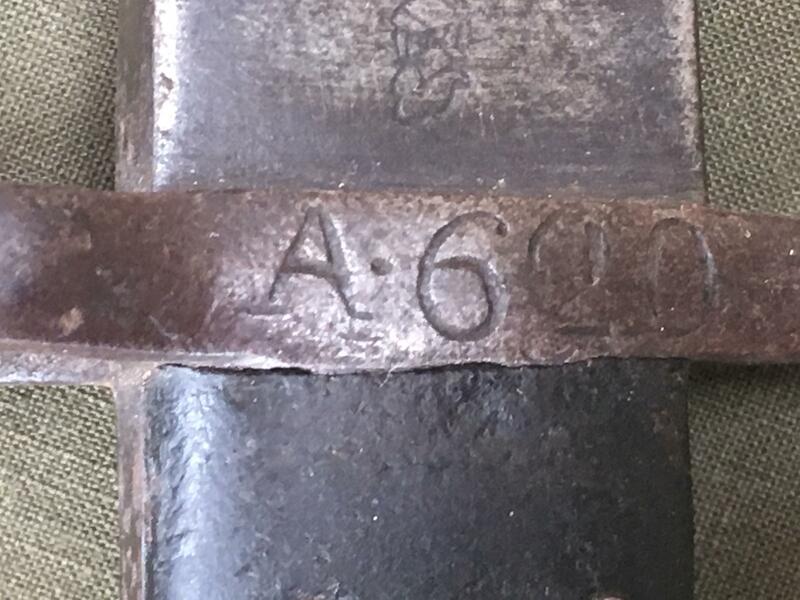 A Martini Henry yataghan blade. 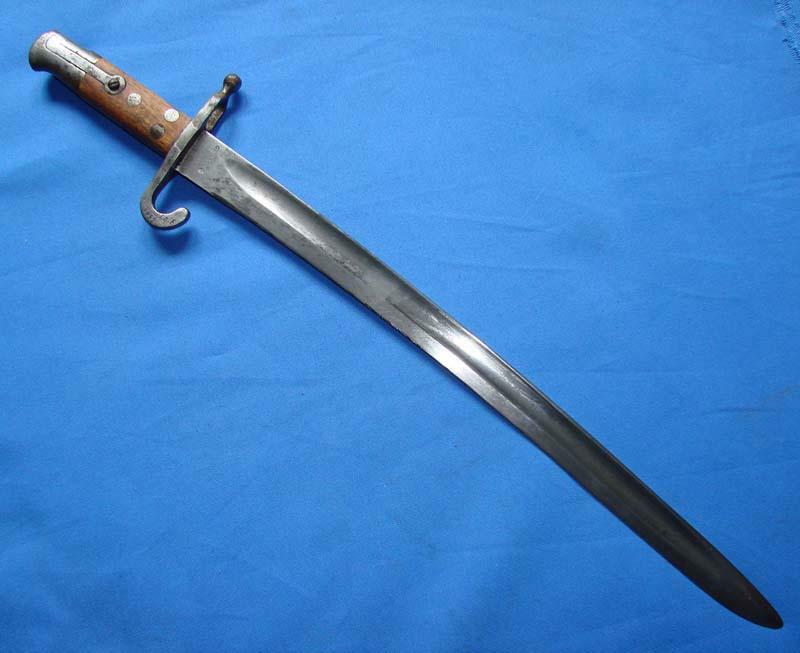 My very favourite bayonet!' 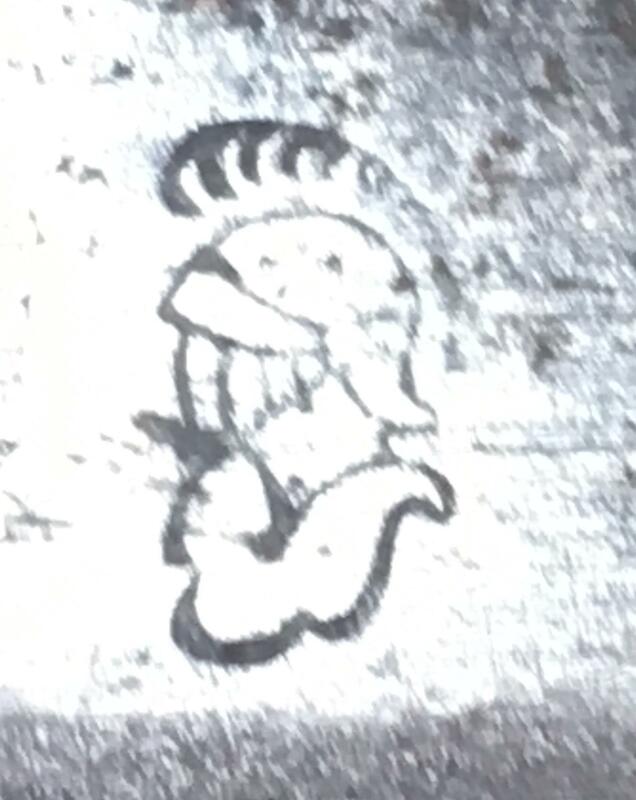 But, obviously, the German makers marks suggest otherwise. 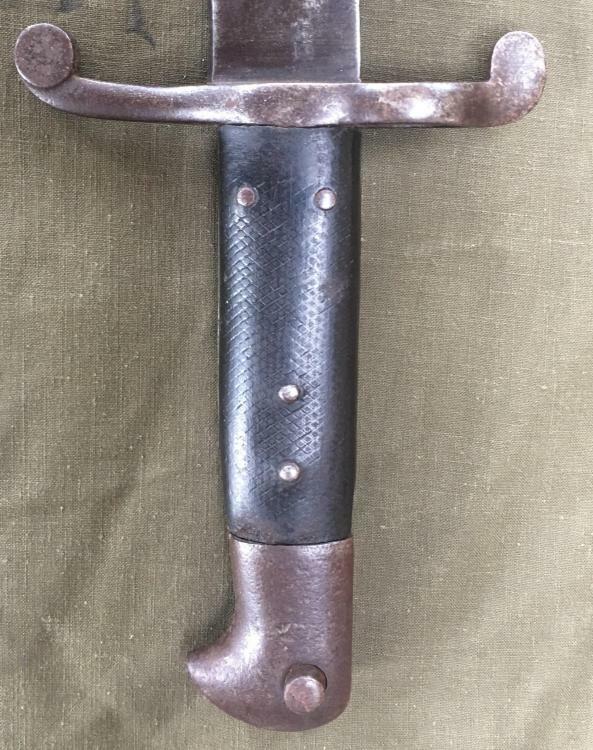 But... many British bayonets were made in Germany. In fact there was a scandal during the Sudan campaign regarding German made blades which bent in use! From what I can see in a quick search, the Werndl bayonet had wooden grips and a pronounced hook on the lower guard. See below: Werndl on top 'Tini below. 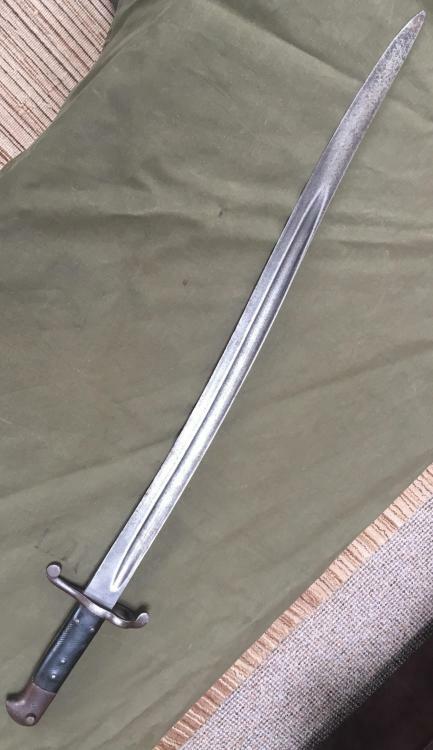 Peter, not all the Werndl bayonets were with wood grips but also is true that at least those of the Imperial Army have the characteristic hook in the lower guard but Werndl rifles were used also here in Argentina ,in Montenegro and Persia .